Pixel Junk Monsters is one of the most interesting downloadable games that the Playstation 3 has to offer. Being released in 2008 by Q Games, it had gained enough popularity to get a PSP port entitled Monsters Deluxe. In this Pixel Junk Monsters review, learn if a strategy based game is right for you. In Monsters, you play as a village native chief who must protect the village’s children from the on going swarms of monsters. The story is pretty basic and takes elements from such games like Final fantasy Crystal Defenders, where you must defeat enemies in sets of waves. The story is cute and easy to follow which makes this game a great one for gamers of all ages. 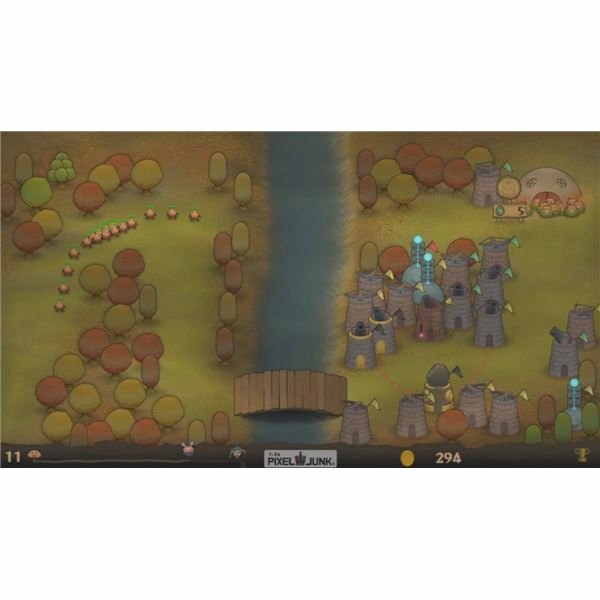 Being a real time strategy game that takes some basics from Tower Defense, your objective is to build all different types of weapon towers that will automatically attack the waves of monsters heading to your village. If any monsters reach over to the hut filled with the children, they will kill one off. The more children that die, the more close you are to a game over. Every level is different, some with more room, some with more tough enemies that need to be stopped with a lot of weapon power. The types of towers you can make include long range like cannon balls and arrows, and short range like ice guns and flame throwers. Monsters that you have destroyed leave behind crystal gems and coins, which you can use to upgrade towers to have more fire power. Overall, the game play is definitely for anyone who loves to strategize, especially with 21 levels worth and a bonus pack with an additional 15 levels. This game does not have an online multiplayer option, but it does instill player vs. player locally. If you have a second controller and a friend or family member who would like to join, it can make the game a bit easier. The controls are still the same for the second player, they need help build towers with you in order to stop the hordes of monsters from coming through. Coins and gems are shared and you make your own battle plan of someone building while the other will upgrade. The controls in Pixel Junk Monsters are seemingly easy once the player gets used to it. 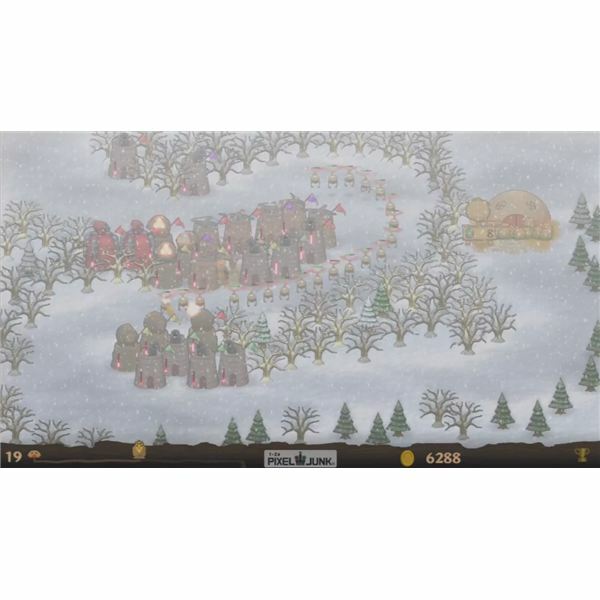 Move your character across the screen to build the towers and collect gems and coins. The controls are actually pretty fluid in that the character moves quickly, although it may be a rough start to some since it seems like he is sliding across the screen and you wish he could go faster. Overall, the controls are basic since all you do is move and press the x button when you find a spot to make a tower. The battle towers themselves do all the work while you dash around collecting the gems and coins the monsters drop in their wake. Monsters is a 2D game with brilliant colors in every level you must face. There are autumn levels, bright summer levels, and wintery levels. Each stage is filled with shiny and multihued colors that look amazing on an HD television. The monsters range from cute to weird, and the villagers have a unique look that you can only find an a quirky Pixel Junk title. One of the best things about the graphics is that it takes an interesting turn from other modern 2D titles. This is because the colors used pop out at you and keep you entertained as you work your way trhough the level defeating the hordes of enemies coming your way. 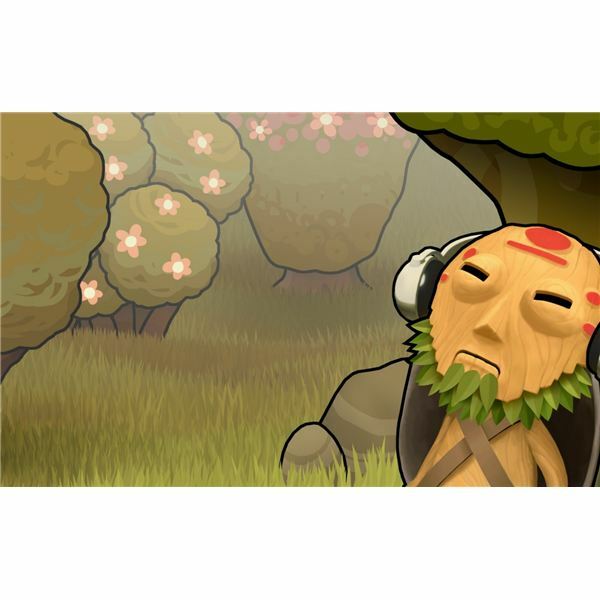 The music in Monsters is very relaxing and puts you in an uplifting mood. This music has been put in to keep you relaxed and focused when defending your hut. Made by minimal techno group Otograph, the sound in this game is one of the most unique of modern video games and is definitely very compromising. Tracks such as Flux and Fantasia offer some of the most entrancing music to come across in the game. Pixel Junk Monsters is a game suited for everyone and anyone who is looking for obscure yet entertaining video game. With its quirky weird looks and strategy game play that can add a challenge, this is a game that should be added to anyone’s Playstation 3 collection. With absorbing music and tons of replay value, fans of the game can only hope for an equally as entertaining sequel.